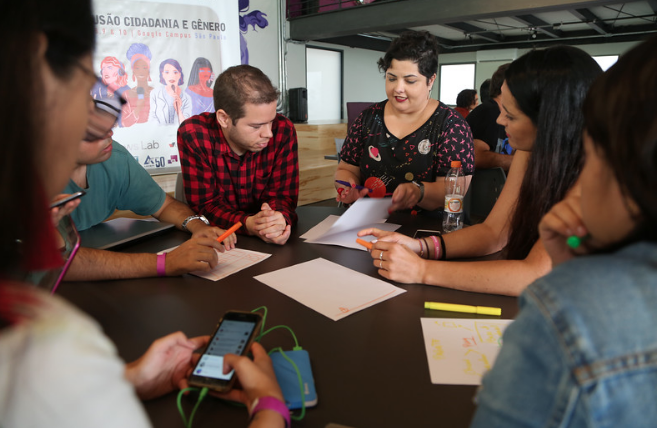 On March 8 and 9 in São Paulo, we gathered genius minds from developers, designers, and digital journalists to launch a challenge: How to educate readers and readers to reflect on what they share, and citizens to reflect on who gets their vote in elections? The event brought together some of the main names of the new Brazilian journalism – both within established drafts and independent projects – to discuss the current information ecosystem. On the last day of the Hackathon, the participants, organized by teams, had 12 hours to respond to these challenges with innovative and viable solutions. 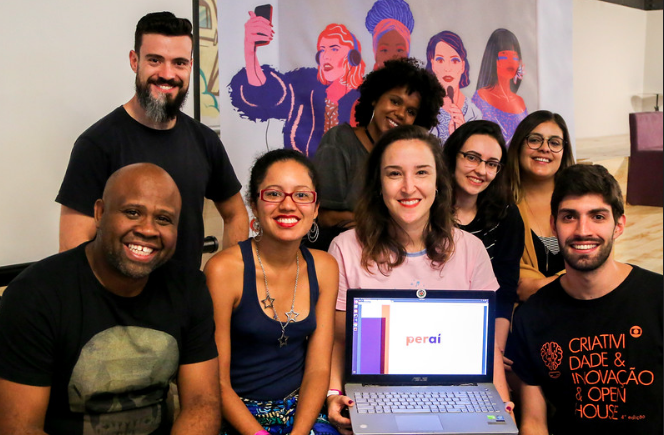 The winning project, “Peraí” is an extension that disrupts the mechanical process of sharing news on Facebook, the largest social network in the world. It presents three simple questions that make the reader think about the credibility of the information received so that she or he is careful about spreading that information. When trying to share a link, the reader is led to think about where it came from, when it was published and who might benefit from publication, for example. 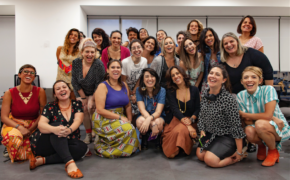 “It’s a process that places responsibility in the hands of people and makes them step back before they are agents of information dissemination, especially in the electoral year in Brazil,” said Mariana Santos, CEO of Chicas Poderoso and the creator of Hackathon. By using “Peraí,” Facebook participants also will have the opportunity to report a post that they find unreliable. The extension will compile the data about shares and denunciations, identifying issues of greater demand to indicate suggestions to the media or generating alerts about certain types of content for the social network itself. The jury team of Hackathon Chicas Poderosas, made up of journalists and entrepreneurs from Brazil and Argentina, also gave an honorable mention of the “PolitiQuem?” project, a data-journalism platform that provides detailed and shareable profiles of candidates for the elections within reach of voters. With a few cell phone clicks, it is possible to find out if the candidates have political kinship, how they have acted in their positions so far, what they stand for, and how much they earn, for example. The data are verified and made available by the team of “PolitiQuem? via the Check software and can be accessed in three main ways: candidate profiles, data cross-referencing and journalistic analysis of the performance of politicians in the legislative and executive branches of Brazil. 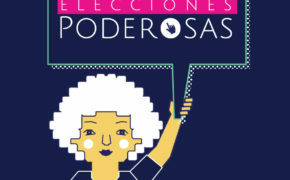 The two projects will now be developed with the support of Chicas Poderosas so that they can reach the public in the coming months and help to create readers and voters more aware of their role and willing to pass on quality information. She is a journalist who graduated from PUC-MG with a postgraduate degree in Creative Processes in Word and Image. She has been in the public relations arena for 10 years, during which time she has been dedicated to communication for major companies in the areas of industry, technology and communication. In her free time, she devotes herself to studying languages ​​and music. Graduated in 2014, Priscila Pacheco is a journalist and is a reporter at the Mural Agency for Journalism in the Peripheries. She was part of the team that developed the multimedia special on violence against journalists in Brazil. The project won the MPT Journalism Award in 2015. She also produces work for institutions in the area of ​​education. A student of journalism at ECA-USP, she has already worked in education and now works on BandNews FM radio doing reporting, production and social media. She was a finalist for the ABAG Journalism Award in 2015. A graduate in computer science who practices martial arts and is passionate about free software, he has 12 years of experience in software development. He currently serves as technical project leader with microservice architecture. He is a designer and an infographer, with essays in O Estado de São Paulo and Globo, where he won some prizes for infographics and editorial design, such as Malofiej Espanha and medals from the Society of News Design. Since 2014, Rage Against the Machine has partnered with Datadot, a multidisciplinary design studio focused on information that has already collaborated with clients such as Amnesty International, UNDP / UN and Bovespa. She is a front-end developer with 10 years of experience. 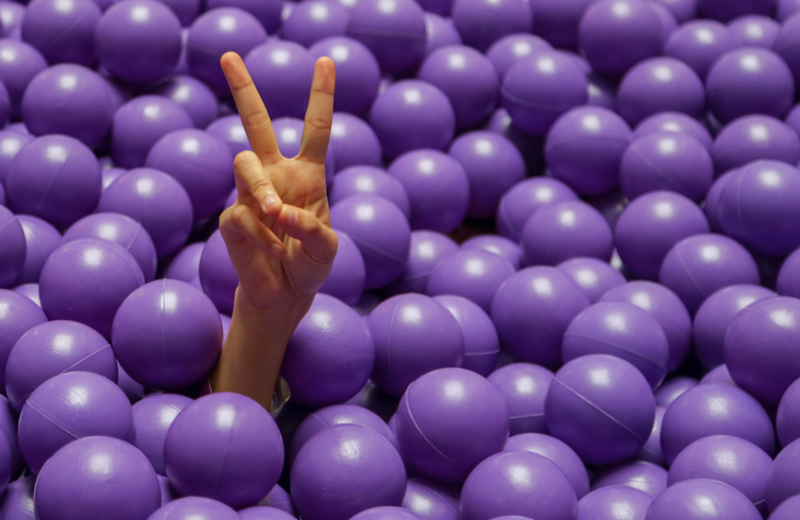 She loves working in a space with innovation and creativity that supports diversity and inclusion. Her motivation is to make a difference now to build a better future. Incentivadora of women in Computer Science, is co-organizer of the Campinas Front-end group. A graduate of the University of Brasilia in control engineering and automation, he works in the research and innovation area of ​​Rede Globo, focusing on blockchain, artificial intelligence and image and video processing. The team of “Peraí,” an extension that disrupts the mechanical process of sharing news on Facebook. Photograph: Sofia Perpetua. With a Masters in Computer Science from the Federal University of Bahia (UFBA) and a Bachelor’s in Computer Science from the Federal University of Bahia (UFBA), he has been a senior software engineer for Meedan (San Francisco-based IT organization) since 2011. In 2018, he was one of five software developers from around the world selected to participate in Data4Change, a human rights data visualization workshop held in Beirut, Lebanon. He collaborates as a software developer on open-source projects such as Ruby On Rails, NPM, Drupal, Noosfero, Moodle, Inkscape and others. He has also presented works at RubyConf Portugal, Rubyfuza in South Africa, SIBGRAPI in Peru, RubyConf Brazil, WebMedia, W3C Brazil Web Conference, International Free Software Forum (FISL), International Free Software Workshop (WSL), among others. She holds a degree in Accounting from the Universidad de Álvares Penteado (FECAP), a Masters in Business from BI International, and extensions in Public Policy and International Economics at Columbia University (SAIS) and Johns Hopkins (SAIS). She has worked with accounting auditing and strategic financial consulting in multinational auditing companies. A graduate in Computer Science from the Federal University of Bahia (UFBA), she works as a software engineer for the Meedan (San Francisco / California / USA). She participated in the development of Noosfero, a free software for social networking. 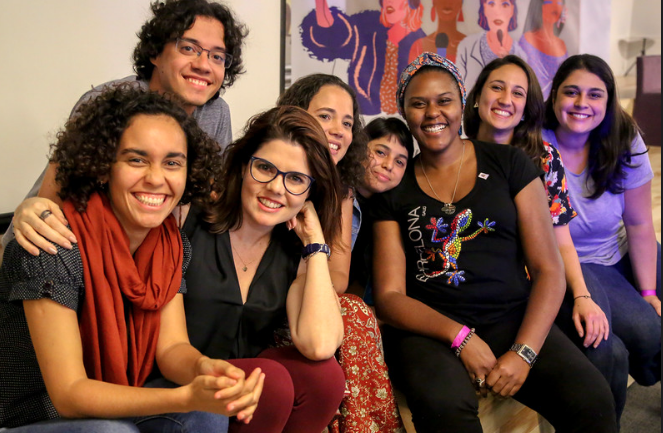 She also is a member of the Digital Girls project – Regional Bahia and organizer of Rails Girls Salvador, projects that aims to encourage the participation of women in the area of ​​information technology. A graphic designer with a special interest in cultural mediation, her main interest is helping minorities in vulnerable situations and developing projects that empower women. Her primary experience is in editorial and informative design, project management and creative direction. She also developed social projects in museums in Colombia through the use of inclusive methodologies. A journalist who graduated from UFRN, she is a professor of communication and founder of the Media Papo, a project that discusses the current challenges of social and digital communication. For 10 years, she worked in television news programs in Natal, working for such broadcasters as Rede Globo affiliates, Rede Record e Band in RN. She is currently a teacher, communication advisor, consultant in media training and speaker. She also is a communication adviser for the Regional Electoral Tribunal of Rio Grande do Norte (TRE-RN) and the Friends of the Physically Disabled Society of RN (SADEF-RN). Erika teaches in Communication and Digital Marketing at Estácio Natal and Unifacex. Her Masters is in Digital Television from the Universidade Estadual Paulista (UNESP). She also has a Specialist certificate in Strategic Management of Information Systems and in Economic Journalism, both from UFRN. A journalist who graduated from the Federal University of Paraná, she did a cultural exchange in the USA focusing on photography at the International Center of Photography. She acts as a freelance multimedia reporter, working with data, videos and photography. She also is a volunteer advisor at an NGO, where she produces videos and helps to publicize the institution. A journalist and doctoral student in sociology, she investigates digital activism and social media. She has experience as a press officer and popular communicator with social movements and in political campaigns. An independent journalist, she writes from Brazil mainly for La Marea and Píkara Magazine on international politics and current affairs in Latin America. She has a Masters in International Studies and Anthropology from the University of the Sorbonne, Paris. She also is a graduate in documentary of the International Academy of Cinema in Rio de Janeiro. The team of Politiquem, a data-journalism platform that provides detailed and shareable profiles of candidates for the elections within reach of voters. / Photograph: Sofia Perpetua.